It's Fall Fun Week over at Epiphany Crafts. 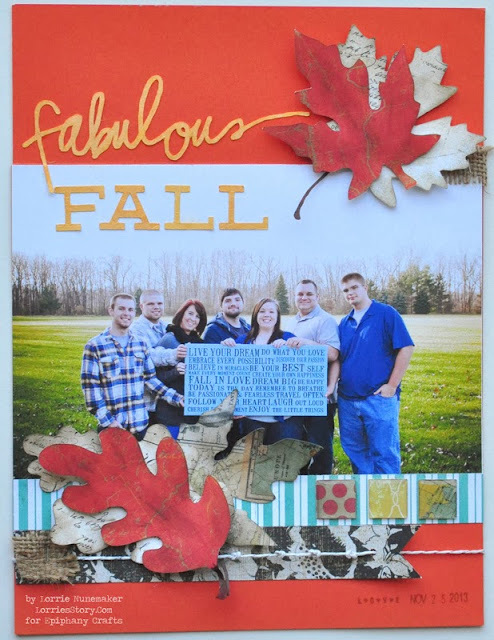 For my Fall Project I made an 8-1/2 x 11 layout using the Epiphany Crafts Shape Studio Square 25 tool and some fun patterned papers. I love how the die cut leaves turned out. 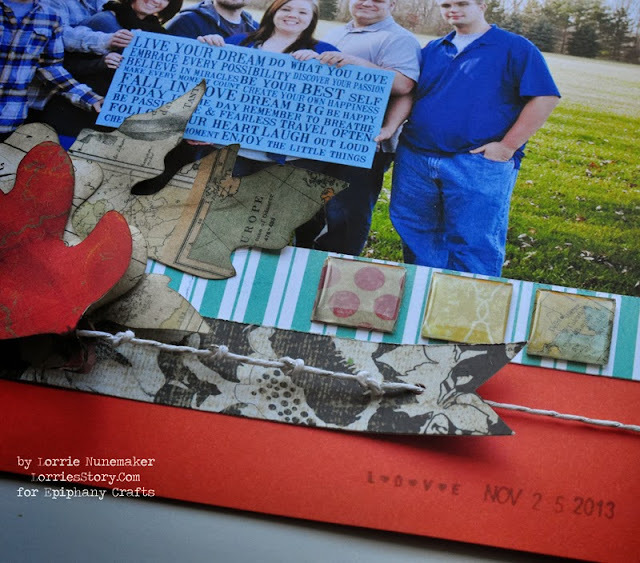 I used my Silhouette Cameo to cut our various leaves which I inked with Tim Holtz distress inks. 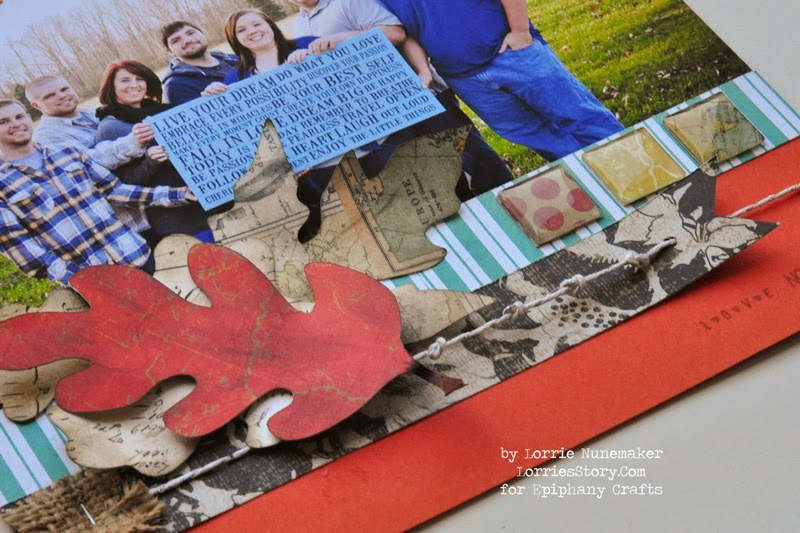 The Epiphany Crafts Shape Studio Square 25 Tool adds just a little something extra to the layout. 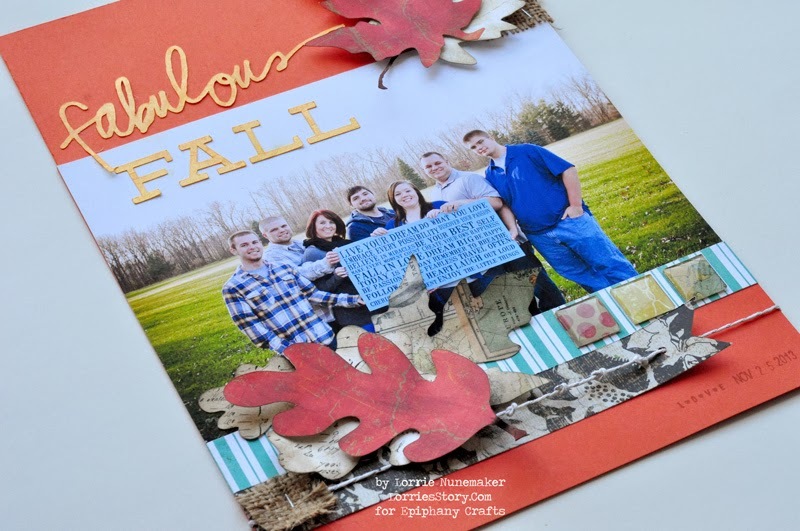 I really like how all of the patterns, colors are different, but blend very well with the fall theme. By the way... the gang in the photo are my Son, Daugther and Son-in-Law and his siblings. They did a photoshoot for his mom and I last year for Christmas. I thought this was such a cute photo.